My Buddy & Me is a class for walking toddlers, ages 18 months up to young 3 year olds. Dancers are partnered with an older "Buddy" who guides them through movement and rhythm activities, games, and dancing. A fun and gentle intro to dancing, with a new friend to boot! Our Buddy & Me classes are on a seasonal basis and have no registration fees. 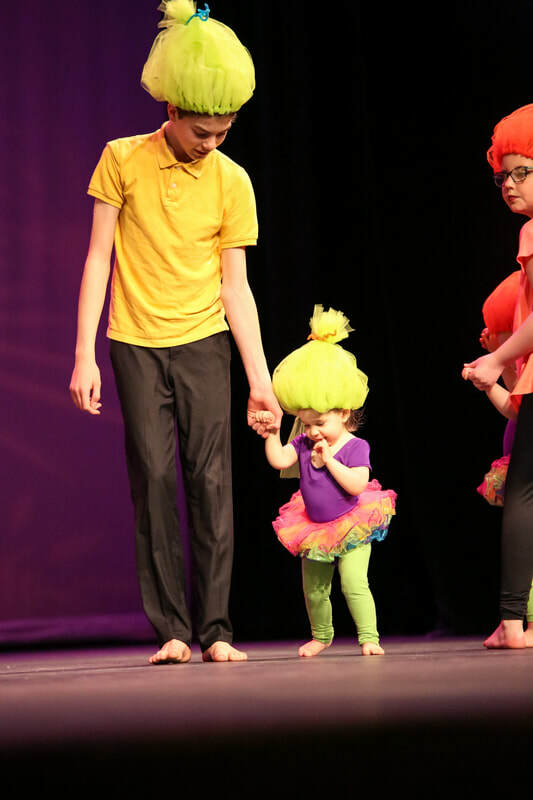 Little dancers who participate in the Spring 2018 session will have an opportunity to perform in the annual Hosanna Dance recital in May. Class size is limited so get registered early. Don't miss out on the fun! ​​Saturdays 9:00-10:00. $75 per session (8-week class) Teacher: Sarah Vaughan. REGISTER NOW for Spring Session... SESSION IS FULL!! !